Your piano has around 230 strings. The low bass starts with one string per note, graduating to two and then three. The strings sounding together are called unisons. A tiny variation in pitch between the three unison strings will make the note warble or maybe meow. In tuning, we aim for a clean and beautiful sound in every unison. Tuning for accuracy and stability is a physical skill that is developed over years of practice. 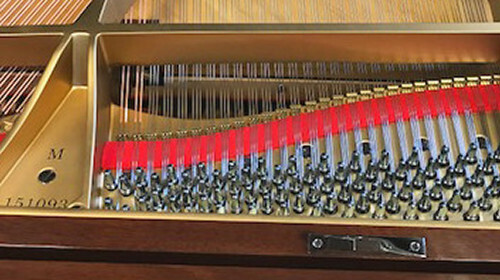 Beyond the unisons, the octaves need to sound clean, and each of the twelve notes in the octave needs to be evenly spaced for a modern, equal-tempered tuning. Therefore, the piano is mostly tuned to itself! To play with other instruments and to train the ears, a single string the A above middle C is matched to the pitch standard of 440 Hz. installed. Also, under the extreme tension in a piano wire, the piano tends toward flat over time. A third major contribution is because the wood of the soundboard takes in and releases moisture and expands and contracts. This changes the position of the bridges and certain areas of the piano may go sharp during periods of increasing humidity. If the piano has not been serviced in several years, it may need extra care to bring it back to its design frequency. This is known as a pitch raise. When the piano moves to a new environment, often this is accompanied by changes in wood moisture content. After a period of several weeks in the new location the piano is ready to be tuned. 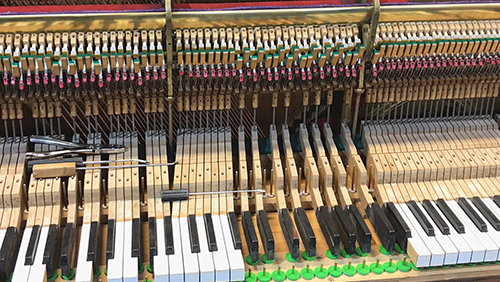 When the piano strings or has undergone an extreme pitch raise, the wire bends are developing and the piano will need to be tuned more often… maybe three or four times in the first year. 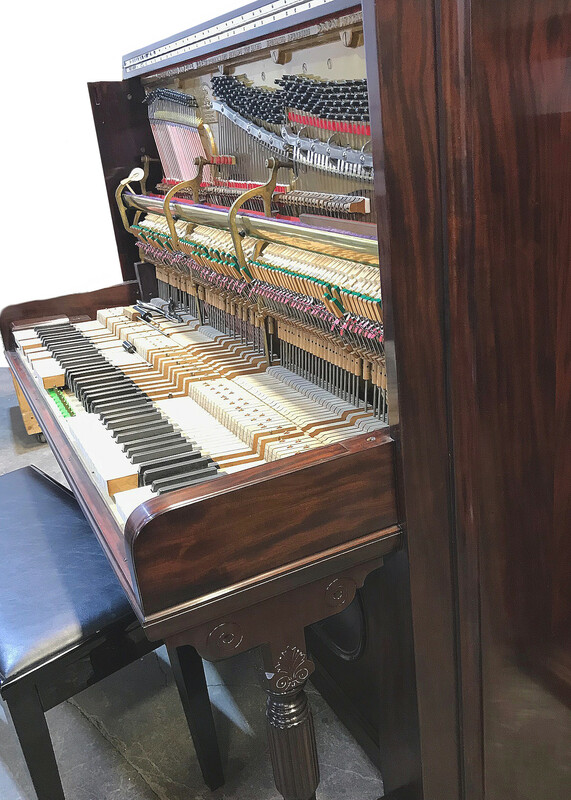 For regular maintenance, we recommend tuning a minimum of once per year to keep it in good condition, and more for top performance in a piano that is regularly played. What other types of home service does my piano need in addition to tuning? 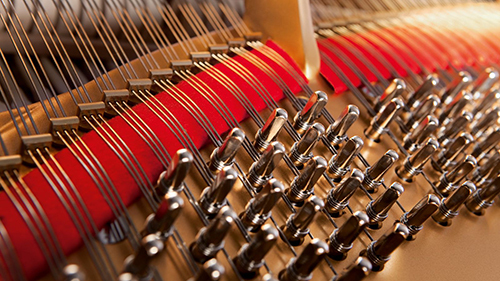 In addition to tuning, the service visit may include cleaning the piano, regulation, repairs and voicing.